Safety has long been a major concern for drivers and fleet managers; however, the advent of the Fourth Industrial Revolution and the attendant technological innovations has made it somewhat easier for fleet personnel to ensure the safety of their wards. To ensure the safety of your drivers and keep vehicles running efficiently, fleet managers should use the latest fleet safety and management technology. Although technology cannot (and should not) be a replacement for good driving practices and plain common sense, it can help promote safety by improving visibility, deterring theft, and keeping drivers aware of potential problems that could occur while on the road. The following are some types of technological innovations that can help minimize risk and improve fleet safety. When on the road, there is a much higher risk of poorly maintained or old vehicles breaking down or being involved in accidents. 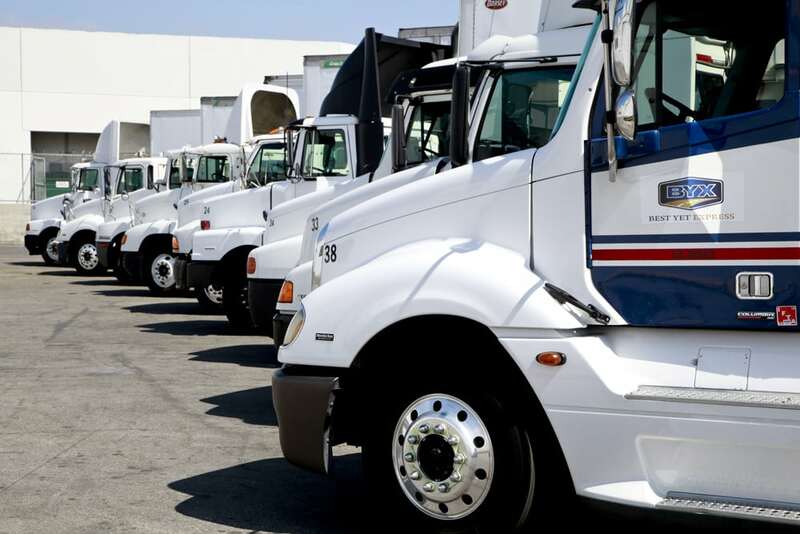 As such, fleet managers and drivers should follow regulations and regularly inspect their vehicles to determine those that are too worn out for active duty. There are technological devices which can monitor vehicular components and detect those that need replacing such as worn brakes, and under-maintained or overheated engines. Such devices can help prevent road mishaps as well as prolong the vehicle’s life and minimize overall maintenance costs by reducing the incidence of breakdowns and downtime of vehicles. There are fleet management systems that can simultaneously monitor both the vehicle and the driver. This helps management to observe certain risky behavior on the part of drivers such as over speeding and poor/unsafe driving. When integrated with back-office systems, these systems can automatically send data to fleet management, thus assisting in the pre-emption of road-related incidents (caused by unprofessional and negligent drivers) before they occur. A fleet’s first line of defense against safety issues are its drivers. Therefore, it is essential that management organizes driver training programs specifically designed to cover topics related to fleet safety. Also, fleet management systems can spot training topics that were overlooked or require more emphasis. These systems provide managers with analytical reports that help them develop a more relevant training curriculum that will improve the safety of their vehicles and drivers. Vehicle safety features can either be built in or added on aftermarket. Traction control makes up part of the ABS (anti-lock braking system) and is one of the more common safety features present in most vehicles. When needed (especially on slick or wet roads), a traction control system either reduces the supply of fuel to the cylinders or activates and supplies additional braking force to the wheels. To improve the safety of vehicles during winter, tires that are specially designed for slippery roads should be used. Also, tire pressure monitoring can help limit flats and improve traction. Anti-theft technology are assets that contribute to fleet safety and prevent the loss of valuable assets such as vehicles and customer cargo. For instance, the installation of new key lock systems can make it more challenging for thieves to hack into and hotwire a vehicle.